Heat your Yoder Smokers YS640 Pellet Smoker to 350ºF. Season oxtails with salt and Cattleman’s Grill Steakhouse Seasoning. 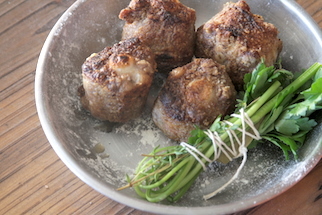 Put flour on a plate and dredge oxtails in flour, shaking off excess then transfer to a plate. Heat oil in a Lodge Logic 7 Quart Dutch Oven over medium-high heat. Add oxtails and brown on all sides. 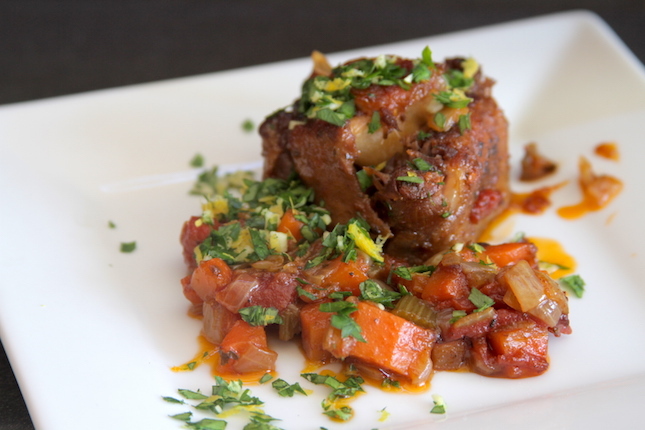 Transfer oxtails to a plate. Add butter to pot. 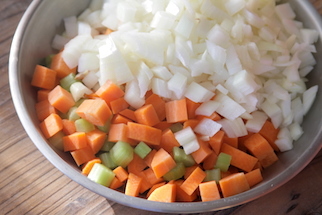 Stir in onions, carrots, celery and two crushed cloves of garlic and cook, stirring and scraping any browned bits from bottom of pot until soft, about 10 minutes. Tie 4 parsley sprigs and thyme with kitchen twine. Stir in tomatoes, bay leaves, oxtails, wine, and beef stock and cover. Transfer pot to the cooker and cook until meat is very tender and pulling away from the bone, about 1.5-2 hours. If the liquid is still fairly runny, transfer oxtails to a plate and cover with aluminum foil and leave the pot in the cooker until liquid is reduced/thickened. 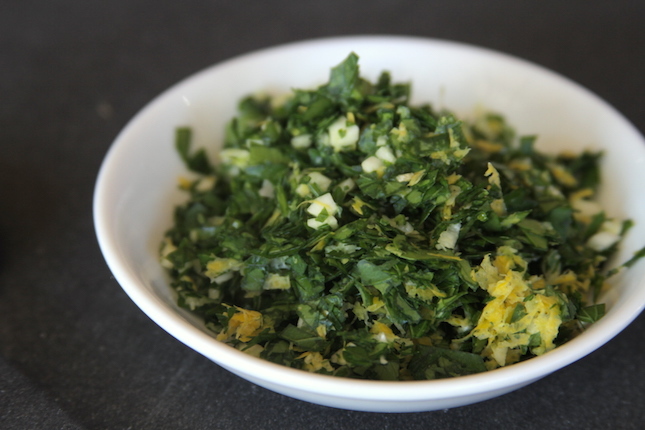 Meanwhile, mince the remaining parsley leaves and garlic and toss in a bowl with the lemon zest. 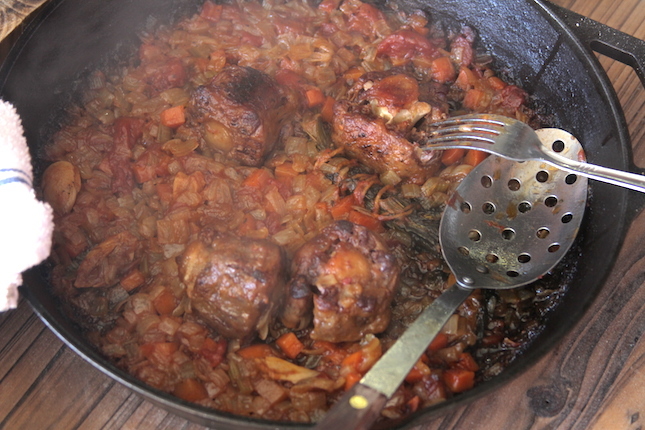 Transfer oxtails back to pot, sprinkle with the parsley mixture, then spoon over liquid, and cover to keep warm. Serve over risotto or mashed potatoes.